The Acer XP iron set is the epitome of forgiveness. The notched sole area combined with the undercut channel makes this club not only well perimeter weighted but super forgiving. Every feature on the XP is designed for great feel weight and reduced twist and everyone here at Pinemeadow agrees this is a perfect club for anyone who wants to improve their game from a complete beginner to the scratch golfer the XP suites everyone. Be the first reviewer and fill in the form. The Acer XP Professional Iron is designed for the mid to low handicapper looking for the same powerful design as the Acer XP irons but with greater workability. Like the XP the notched sole area combined with the undercut channel makes this club not only well perimeter weighted but super forgiving. Every feature on the XP Pro is designed for great feel weight and reduced twist. They play and have the shot capabilities similar to a blade but with a cavity back sized sweet spot generating purer shots on every swing. The reduced offset and thinner top line also provide the features an experienced golfer is looking for. 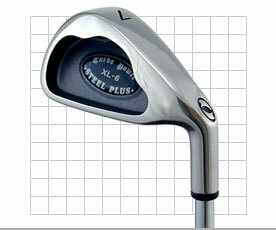 If you are looking to upgrade your game and set these irons are perfect match for you. Comment The clubs were delivered within 4 days to Europe. I hit the ball much higher and gained around 20 yards in length. Even misshits fly acceptable. I ordered the Graffaloy Attack UltraLite Shafts and Lamkin Grips. The Clubs look very nice. A great buy.